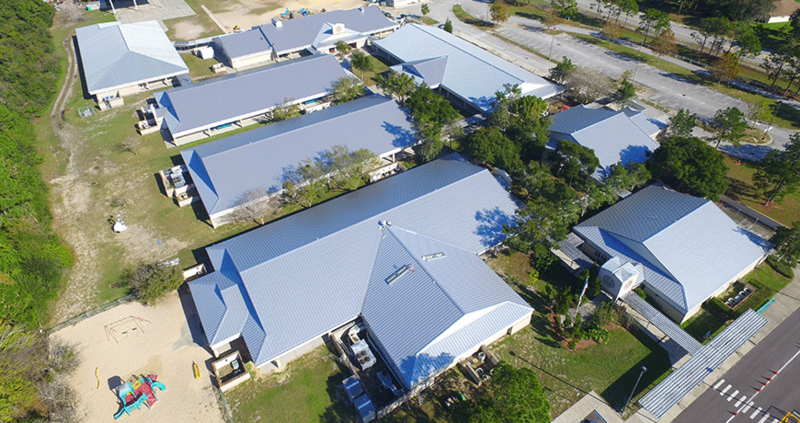 Educational Institutions are Advanced Roofing’s niche market. We work hand-in-hand with schools so that their students are safe during class hours, and their classrooms are safe after hours. Advanced Roofing operates with the utmost care to ensure a quality job is done at a fast pace when school is in session, and when it’s not. We make sure you can focus on teaching your students instead of worrying about the quality of your roofing contractor. For more than two decades, Advanced Roofing has actively supported the Florida Educational Facilities Planners Association (FEFPA). FEFPA is an association for the professionals involved in the planning, design, and construction of educational facilities in Florida’s public schools, community colleges, and universities. With this affiliation, it’s Advanced Roofing’s mission to support the association’s goals to promote communication and establish a means of idea exchange between educational facilities planners and those in the A/E/C Industry.